Consider these question: when you are online shopping, what makes you more likely to buy something? 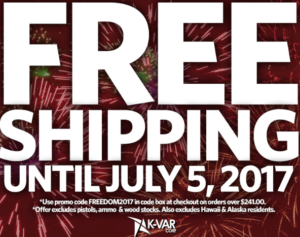 Is it the free shipping rates, or the website design? Is it much easier and helpful when filters are provided to narrow your search? How about when suggested products are provided throughout your search? Google continuously updates its entire site to be the greatest search engine available. It recently incorporated a filter for vacation rentals- rather than finding a hotel, calling, finding out it is booked, and repeating until you find a place- you can simply just provide where and when you are looking to stay. Google will provide you with what hotels are available those times, at what rates, with what amenities, and so forth. Filters are found on retail sites too which makes it easier to find a medium black maxi skirt, or a small red blouse, or a men's blue suit in size x, and you get the picture. Filters are just one way of providing an optimal search experience for customers so that when they are on your page, they stay. Below is a filter option DSW uses for their shoe selection. Unfortunately, however, most clients window shop more than they make a purchase. There are a few ways to reduce this irking situation that does not include reposting the same ad over and over again. 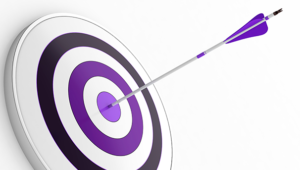 Retargeting strategies can increase potential buyers using social medias to your advantage. People now use Instagram for business and personal reasons as often as they use traditional webpages. Create or update your Instagram account for your business and offer a promotion to your site such as "Use the Code 'MyBuz' for 20% off your order!" Since it is new to use the Instagram app for business, do a web search for the best times to post and familiarize yourself with hashtags! These are simple but effective ways to get your word across. Facebook post ideas for businesses is similar to the Instagram strategy. Provide "Like Us On Facebook For 20% Off" to get Facebook followers AND buyers. Always provide a little urgency on both Facebook, Instagram, and all other Social Media Platforms by stating when the deal ends! This gets users to realize they are getting a great deal but they also must act now. Change up your promotions and adds something new every or every other month. Below is an example of a discount code including an expiration. Rather than reposting the same advertisement that got zero, one, or maybe two buyers, get onto your Social Media Platforms and update those pages with coupon codes and other advertising ideas you have in mind. Provide filters on your website so customers can easily access what they're looking for, as well as complimentary items. For more information on filters and retargeting strategies, we are here you help you. Call Advernation LLC at 212-500-0594 or email info@advernation.com. See how else we can help you expand your business, make better business decisions, create a more appealing website, and more! We look forward to working with you.